Gun in images not included. 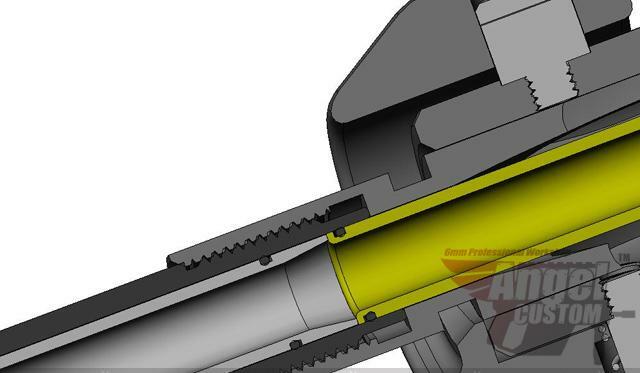 No markings / text on the silencer. *Gun in images not included. No markings / text on the silencer. 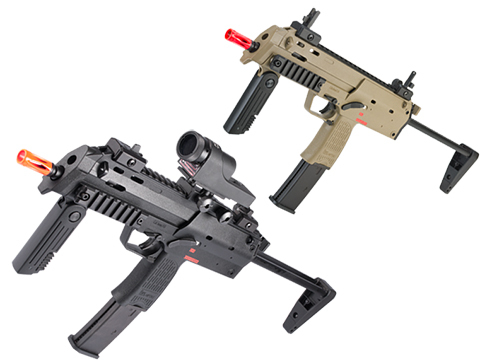 The Angel Custom Combat Raptor is a quick detach and quick attach barrel extension that will instantly increase the power and range of your KWA / KSC / VFC MP7 gas blowback. With an integrated 6.01mm Angel Custom tight bore barrel integrated, your sub-machine gun's accuracy will also significantly improve without any internal work or tweaking. 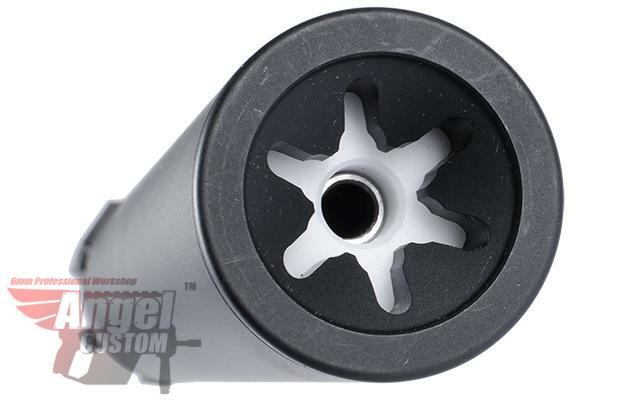 If you are looking for a power-up mock silencer / barrel extension for your KWA, KSC, or VFC H&K MP7, look no further than the Angel Custom! Internally, the Combat Raptor is equipped with state of the art 6.01mm angel custom SUS stainless steel tight bore barrel for ultimate accuracy, range and power. 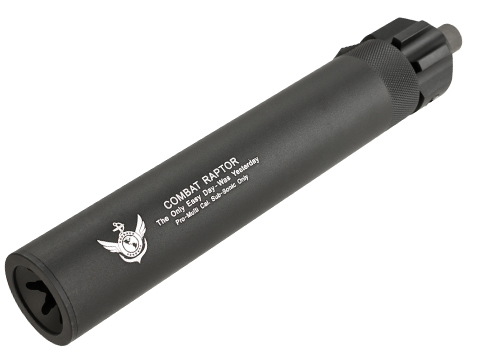 Externally, the Angel Custom combat raptor is equipped with quick detach / attach / barrel bushing / 12mm+ black steel flashhider, and is constructed out of matte black finished aircraft grade T6 light weight aluminum. Instant FPS / Range / Accuracy boost without internal work. 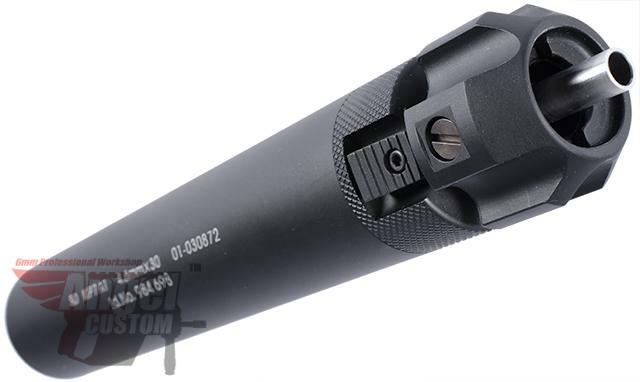 12mm+ MP7 Steel Flashhider included. Construction out of aircraft grade T6 Aluminum. Professional grade anti-rust matte black oxide finish. Construction: Military Aircraft Grade T6 Aluminum. Finish: Matte Black Oxide Finished. Attachment Type: Spring Locking Quick-Detach and Quick-Attach. 12mm Positive MP7 Flashhider included. Inner Barrel: 6.01mm SUS Stainless tightbore. "How should I begin? KWA MP7 looks absolutely amazing with this. HOWEVER, DOOOO NOOOT BUUUUY. THIS extension was fielded once and it broke! the suppressor was attached to my KWA MP7 & TAPPED with using my hpa drum mag. The inner barrel fell out, do not recommend this at all. I was so excited to use this, even used two day shipping. This product is garbage. ZERO "0" RATING but forced to put at least 1 star due to external look. "This raptor extension is easy to use and increased FPS on my KWA by over 95 FPS! "this thing looks awesome. its easy to put on and off because of the quick detach feature but i think i got a lemon. i sighted in my mp7 with out it and its super accurate. but then i put on the suppressor and it make they bbs curve right. its consistently right but too far to be able to use it. i might end up taking the outer barrel out of it so its purely ascetics. looks great and probably works fine but i got a lemon i think. kinda bummed i was expecting to not waste 70 bucks but whatever. still looks beastly. 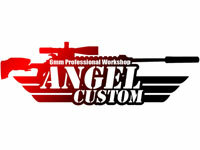 Discuss about Angel Custom Combat Raptor QD Power Up+ Barrel Extension (Version: KWA VFC KSC H&K Umarex MP7 Airsoft GBB) with your friends and fellow Evike.com shoppers! Matrix TMC Tactical Holster for MP7 Series Sub-Machine guns.